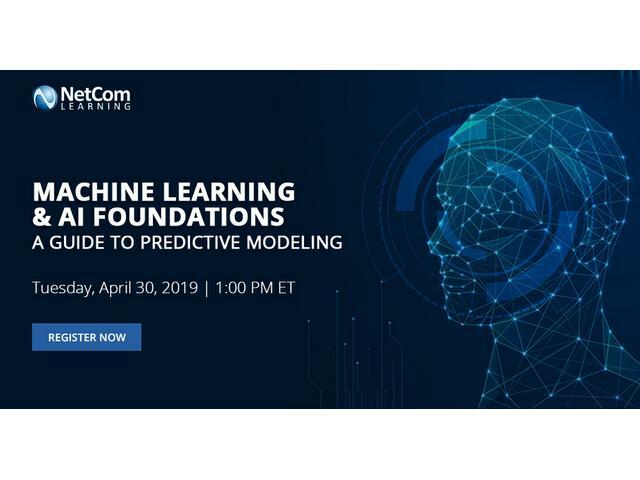 Description: Join NetCom Learning trainer along with Managed Learning Services leader NetCom Learning for a complimentary & interactive event on "Machine Learning & AI Foundations: A Guide to Predictive Modeling". Organizati ons are faced with increasing volumes of data, but how much of that data exactly do we need to use in our predictive analytics models, and at what point should we be worried that we might have to upgrade our modeling infrastructure? In this session, we will walk through the modeling process from start to finish and discuss how the amount of data fluctuates, often dramatically, at different stages of the project. Event has been viewed (21) times.